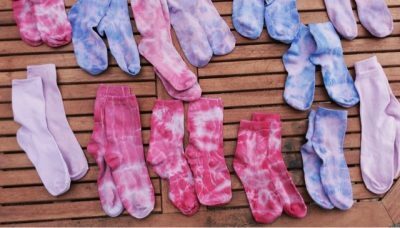 Tie-dyeing is long- practiced traditional technique for people who love exploring with colors. 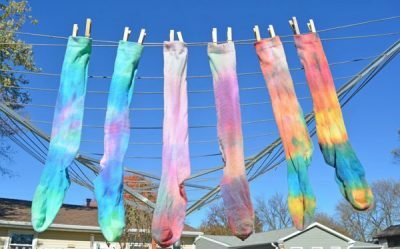 Nowadays it has become a great fashion trend where people love soaking their t-shirts, bags, shoes, socks or headbands in tie-dye patterns. 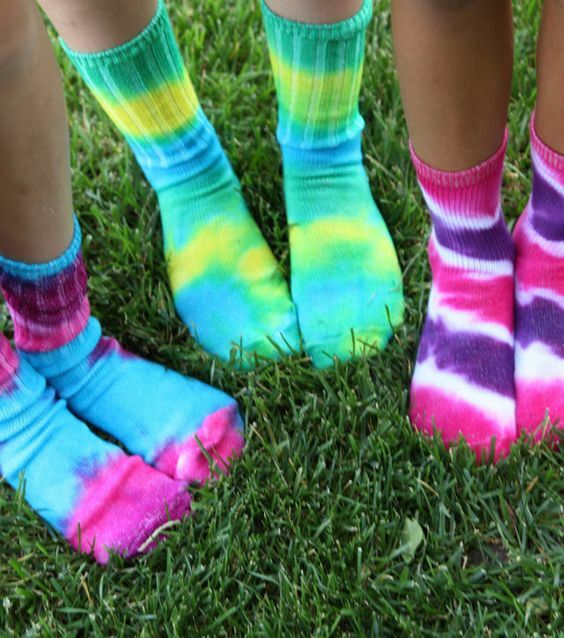 You can easily turn an old pair of socks or clothing by infusing fresh colors and tie-dye patterns this summer. It’s a fun and easy DIY activity for kids as well as adults. We have compiled some of the most unique tie-dye designs with step-by-step instructions to help you create amazing sock patterns. Don’t wish to part with your old Nike Socks? 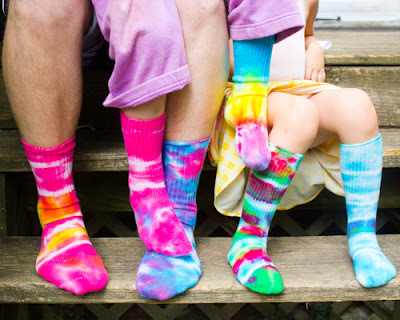 No worries, splatter it with bright colors and give it a new life with these tie-dye patterns. 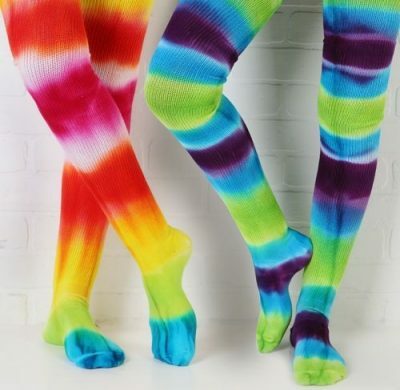 Pick your neon dye colors or your tie dye kit and turn your white socks into bright and vibrant pairs. You can use a different color combination for each sock. The instructions are simple to follow as given in the linked tutorial. Tired of your stained socks? 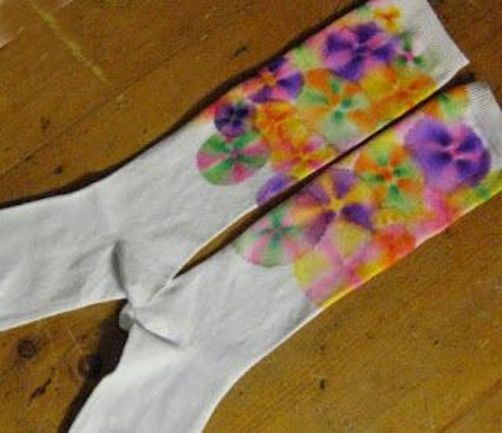 Let’s recycle them into funky and trendy leg warmers. 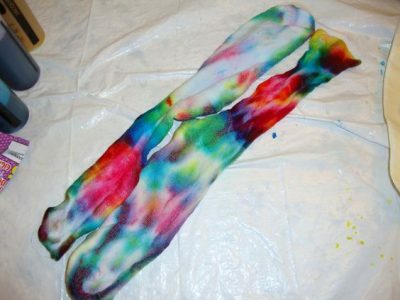 Grab some attractive dye color bottles and try making these interesting patterns on them. A great kid crafting idea for the holidays. 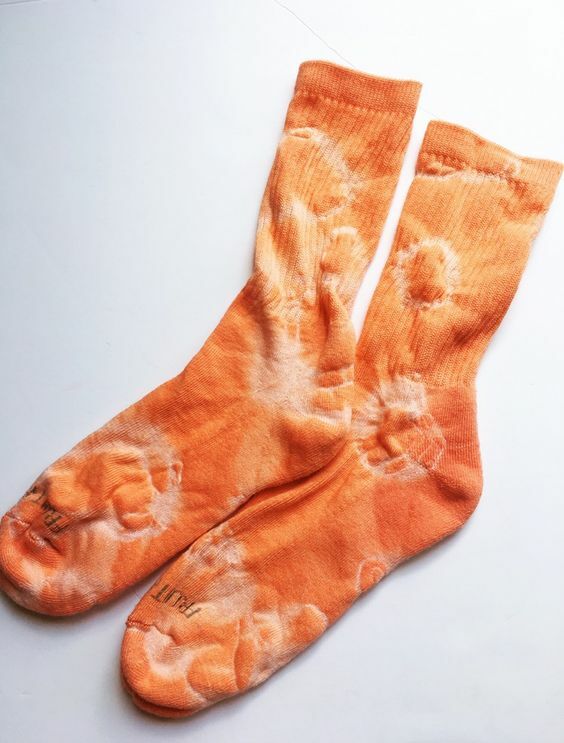 The white circle’s pattern in orange dyed socks, look cool. The bigger the rubber band tied the wider the tie-dye circle will be. 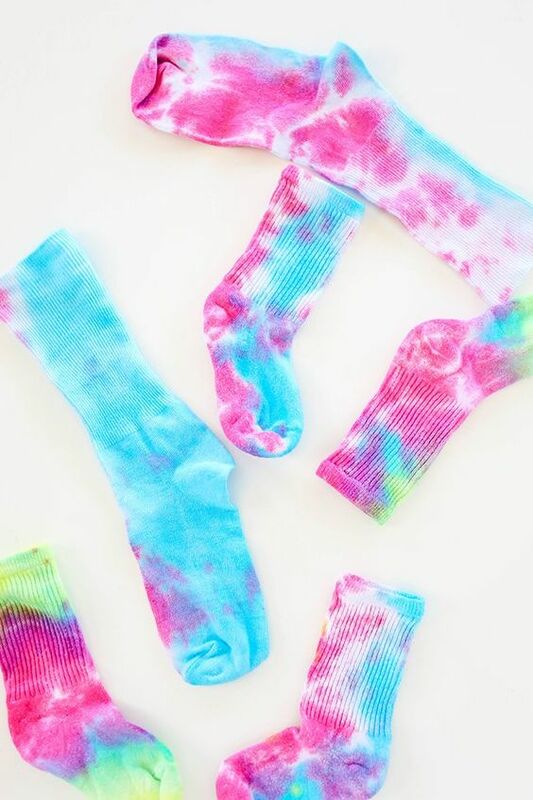 This homemade tie-dye pattern is great to give your old short socks a new look. 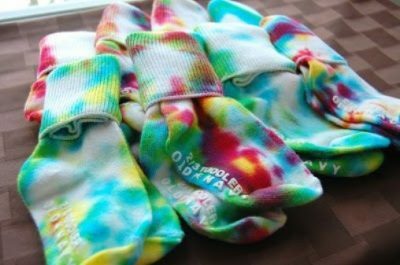 Grab some bottles of tie-dye, and soak the worn out leg warmers, and give them good wash for the final finish. 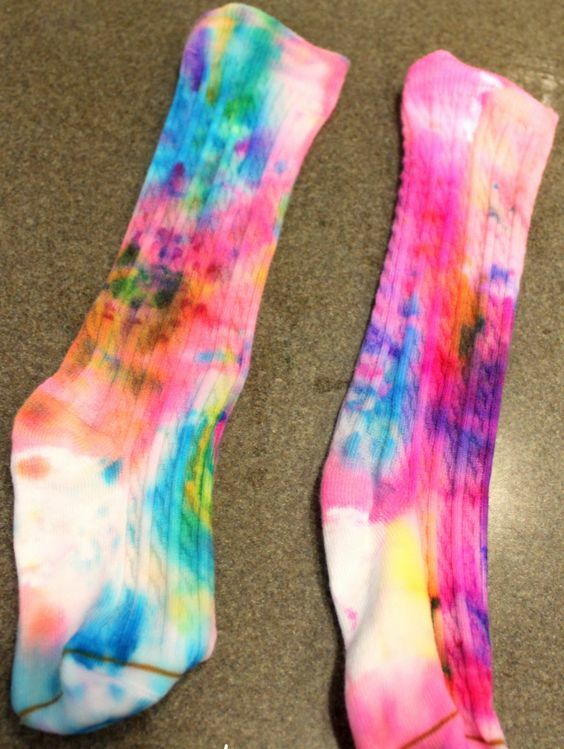 You can also use black dye colors instead of these bright ones. 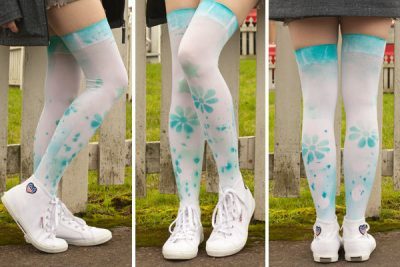 Wanna add some creativity to your old knee high socks this winter? 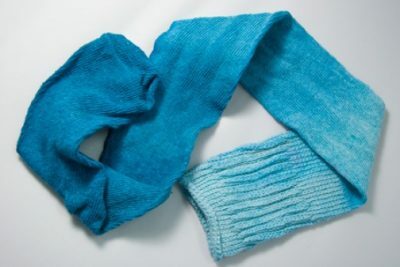 Learn how to make these striped designs using easy dyeing techniques. You can try an interesting combination of colors to make a unique blend. The rainbow color palette is quite in trend these days. If you don’t wanna mess your hands with the dye colors try replacing it with permanent markers and rubbing alcohol. 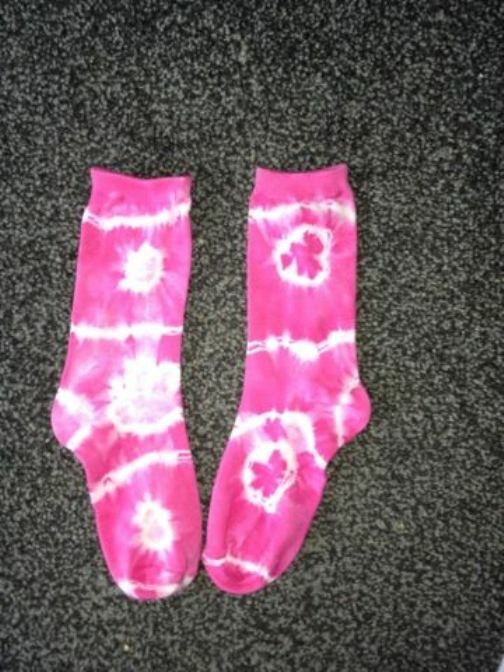 This is an easy alternative to traditional dyes which makes the process easy. 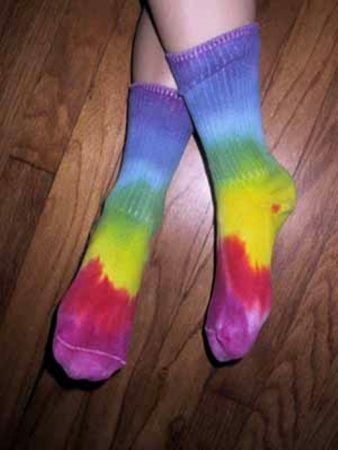 Try this ombre design effect looks stylish on socks. This tutorial shows how to do the “low water immersion” or “scrunch” dyeing, technique. 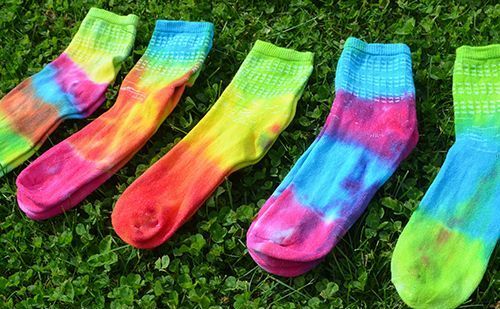 Turn your dull socks into a sporty one with eye-popping colors. 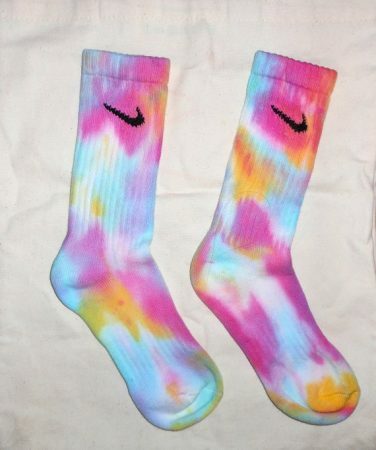 The use of multiple-hues gives it a dashing look, which will want you to go shoes less and play your sport. Accent your casual look with a little hippie touch by topping your tube socks off with these tie-dye designs made using Sharpes Marker. 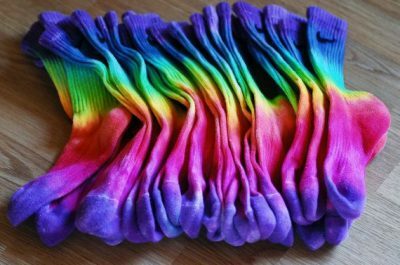 A good option to dye your socks when your dyes are out of stock. A stunning combination of swirls and stripes in pink for pretty girls and will go well with white sneakers. Craft with eco-friendly food coloring dyeing options this summers. 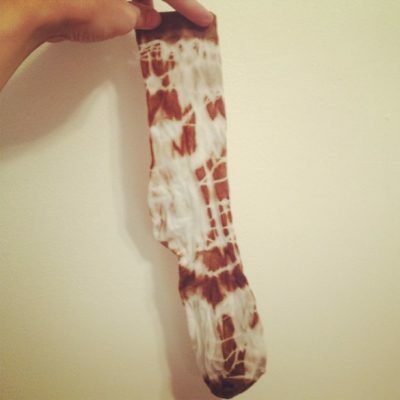 Replace your dyeing colors with food colors, which is quite a safe option. You can try making unique designs like a starburst, stripes, crimpled, etc. 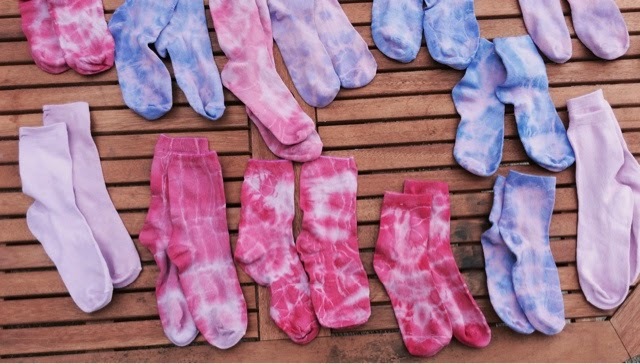 You can easily create socks with tie-dye patterns instead of buying them from stores. Don’t get stuck with the 22 tutorials and designs listed above. You can also try some new and unique patterns of your own. Do share your creations with us in the comment section below!